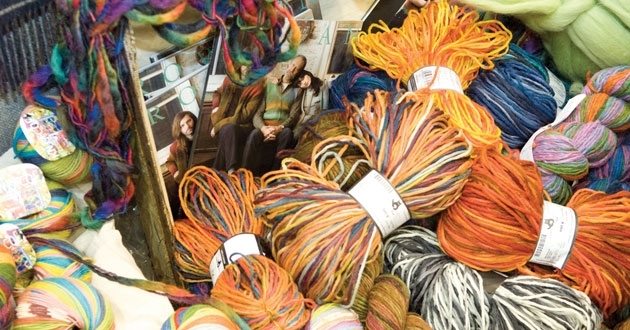 This weekend it is the Knitting and Stitching Show at Alexandra Palace in London, 10th -13th October. If you need a little inspiration to make, do and mend, explore a new hobby, or advance an old one there is plenty on offer. There are exhibits from some of the leading names in textiles, as well as taster workshops for the amateur and plenty of supplies available for to get you going. Carefully curated would be heading for the Upcycling Academy, headed by Barley Massey of Fabrications. and joined by TRAID, War on Want and Craftivist Collective. There will be all manner of creative avenues for old cast-offs from rosette making to knitting with waste fabric, plus lots of customisation and ideas! A hearty appetiser before Wool Week starts on Monday.